Vince Caughley looks at the ideas and strategies for change put forward by anti-capitalist thinker George Monbiot. 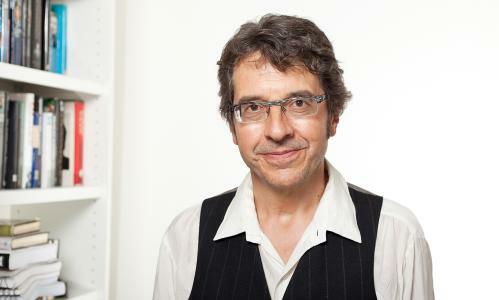 GEORGE MONBIOT, the prominent British journalist, caused a splash with his recent visit to Australia. His call for a “global democratic revolution” to address the enormous inequalities in our world really struck a chord. The people who packed out his meetings were keen to engage in the debate about how to bring about such a transformation. Monbiot’s speaking tour comes at quite an important time for local activists who are campaigning against the proposed Australia-US Free Trade Agreement (AUSFTA) and planning actions to coincide with the next World Trade Organisation (WTO) meeting in Cancun, Mexico in September. We find ourselves at a critical juncture. How is our movement to respond to an increasingly belligerent US which, since 11 September, has sought to break away from a variety of multilateral agreements, ranging from Kyoto to the International Criminal Court and, as now seems likely, effectively ditching the WTO in favour of bilateral agreements such as the AUSFTA? In the past Monbiot has, like the majority of the anti-capitalist movement, called for the abolition of the WTO. However, faced with the US’s recent policy shifts, he suggests that we need to reconsider this position. Multilateralism, he says, is to be favoured over bilateralism. The WTO, for all its faults, is to be supported over agreements such as the AUSFTA. He argues, then, that as we approach Cancun, we should campaign not to scrap the WTO, but rail against bilateralism and aim to transform the WTO into “a Fair Trade Organisation, whose purpose is to restrain the rich while emancipating the poor”. It’s a controversial position which may come as a surprise to many in the movement, and has already been the subject of serious criticism. Walden Bello, for example, argues that we should not make the mistake of simply trying to save multilateralism, for “neither US hegemony institutionalised in multilateral institutions nor US hegemony exercised unilaterally has brought about anything good for the poor and oppressed countries”. In any case, the creation of a Fair Trade Organisation is only part of Monbiot’s vision for redefining the rules of trade-and our world-outlined in his new book, The Age of Consent Manifesto for a New World Order. As his starting point he correctly identifies that the major source of our problems lies in the fact that a tiny minority rule the world “in the interests of a political and economic elite rather than in the interests of the world’s people”. Arguing against the idea of “localism”, which proposes trading and producing locally, he points out that such a strategy would actually reinforce the current inequalities which trap poor countries into being simply producers of raw materials for the industrialised world. Monbiot’s strategy involves an international approach which would reshape the relations “between nation-states and the people of their nation-states” as well as the rules for international trade. Monbiot calls, in the first instance, for the extension of democracy from the national to the global level-the formation of a world parliament elected by the people of the world. Associated with this would be reform of the United Nations to remove its bias in favour of the Security Council and in particular the wealthy nation states. He also calls for the abolition of the IMF and World Bank in favour of an International Clearing Union, a mechanism designed to protect developing economies from the ravishes of the big players in the global economy. Most urgently required, Monbiot suggests, is the introduction of a series of fair trade rules. In essence, he is arguing that by reforming international trade and finance we can bring about a global redistribution of wealth and power. Wrapped up in this perspective is his emphasis on multilateralism. What he fails to address, though, is the fundamental logic of the world economy, of capitalism, which is competition for maximum profit. The question is not just one of trade and finance, but the imperatives behind the investment decisions of the big corporations that dominate the global economy. They are driven by a process of blind competition in which companies compete to grab a larger share of markets and profits than their rivals. Sometimes – no matter the social benefit or other merits – projects must be abandoned because they’ll never make a profit. In addition to the enormous waste of resources, the social costs can be devastating. At best – as myself and other workers know – you lose your job and find work elsewhere, but it can clearly be worse. And an important point to make is that the vast majority of investment by multinationals takes place in the industrialised world, a fact overlooked by Monbiot, whose emphasis is mainly on action underdeveloped countries can take. While many of us are encouraged by Monbiot’s call for a global democratic revolution, why should we stop at taming capitalism? Getting to a point where we could implement the changes Monbiot proposes would mean overcoming the might of the US state and the corporations. If we could do that, why would we settle for a nicer version of the same system? Instead we should get rid of it in favour of a planned economy, where networks of democratically organised producers and consumers collectively control the world’s resources and decide how to use them. And the key to bringing this about are those of us in the developed world who directly produce the bulk of these resources on behalf of our corporate rulers. What’s refreshing in Monbiot’s approach is that his aim is to help the movement develop a collective vision and as such is not necessarily wedded to his views. He genuinely seeks debate. Activists considering his book, should also be encouraged to take the time to assess the alternatives offered by ZMag editor Michael Albert in his new book Parecon and by Alex Callinicos in An Anti-Capitalist Manifesto.